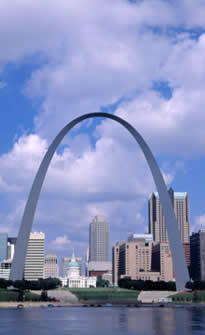 The Arch (Saint Louis - Missouri - USA) began February 12, 1963 and was completed on October 28, 1965. The north tram was opened to the public on July 24, 1967. The south tram was completed in 1968. The Arch is exactly 63 stories tall. Each story is 10 feet. The arch is 630 feet high.